This coloring page shows a boy who is about to hit a tennis ball. Your sport-enthused child will enjoy this tennis coloring page. This coloring page pictures a man who is just about to drive a golf ball out onto the green. colour in this golf coloring page with your avid golfer. Take me out to the ball game! Get into the playing mood with this baseball coloring page for your 1st grader. 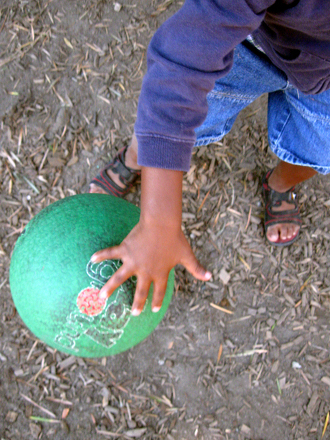 Before you know it he'll be a ball-handling master. 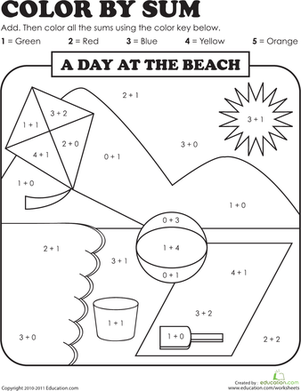 As your child completes the maths problems, he'll also be coloring a fun day at the beach! 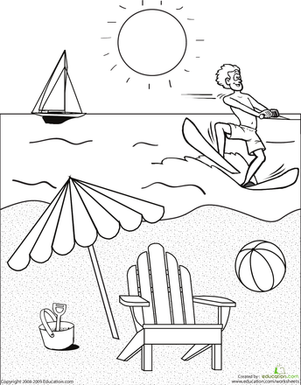 This coloring worksheet features a golfer out on the green. Try this golfing coloring page with your sport fanatic.